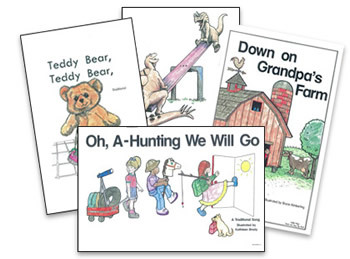 Products shipped weekly via UPS standard ground delivery WITHIN U.S. ONLY. 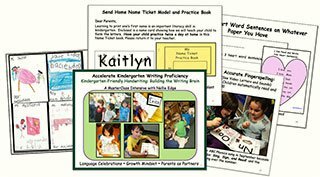 Pay with a PayPal Account or a major credit card. 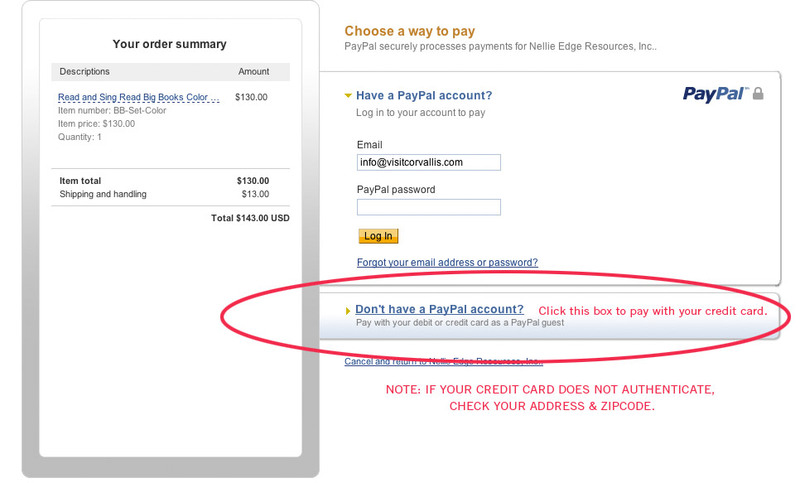 See how to pay with credit card in Paypal. 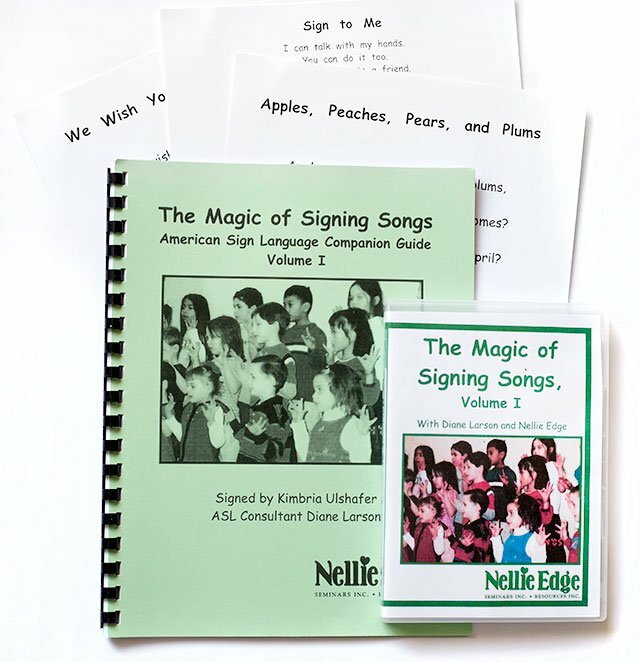 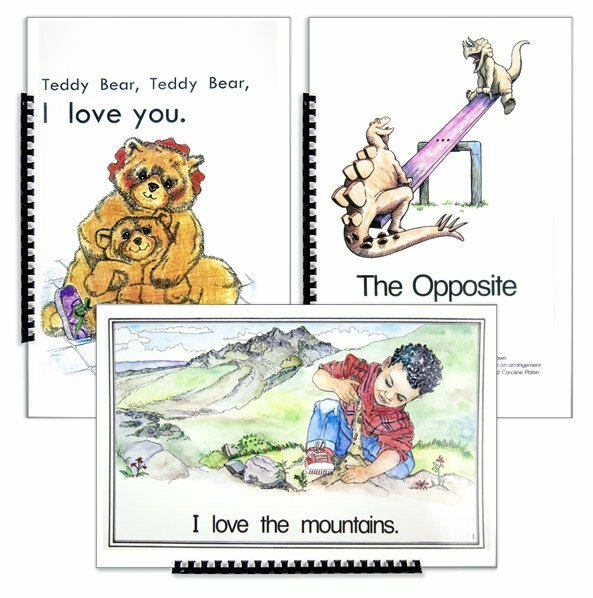 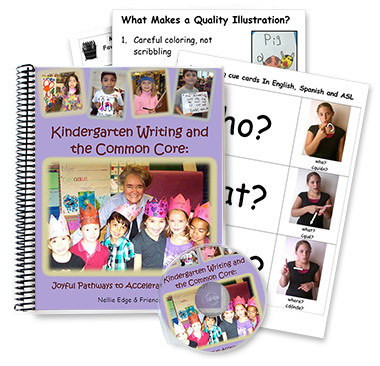 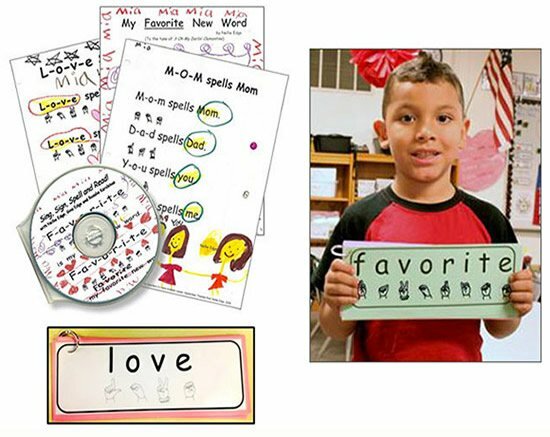 Purchase the complete Kindergarten Writing Program or individual items including the package of 250 Writing Templates and Gift Folder. 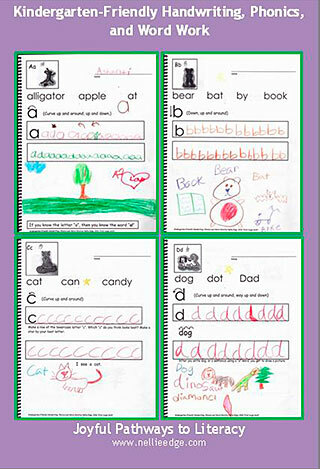 Choose from 6 and 30-Word Stamp Sets, ABC and Animal Stamp Sets and the I Can Read. 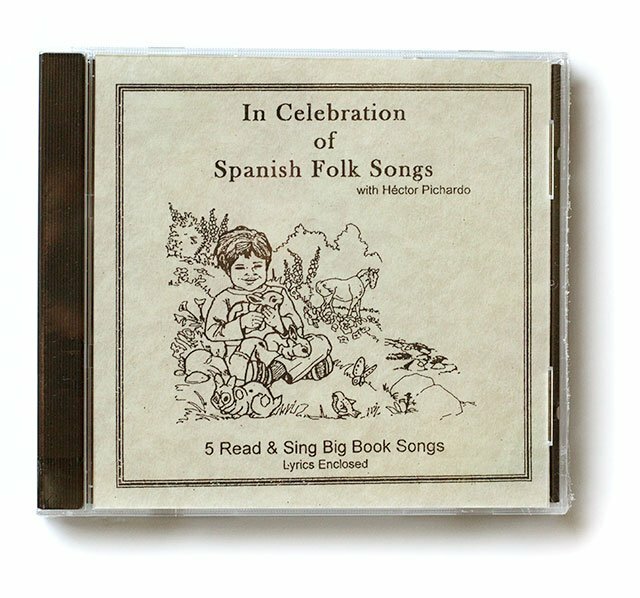 Listen to Me. 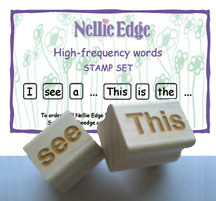 Stamp. 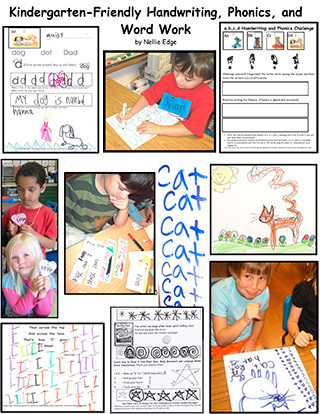 Provide Active, Motivating Word Work: Make Stamp and Read “Skinny Books”! 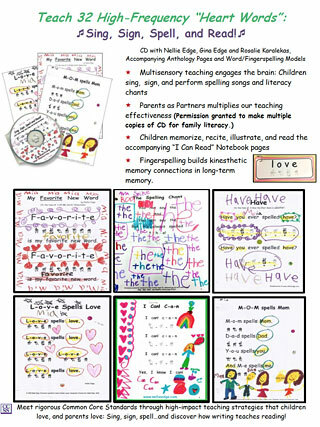 CD of 32 high-frequency “heart word” songs and chants, “I Can Read” anthology pages, and word/fingerspelling models. 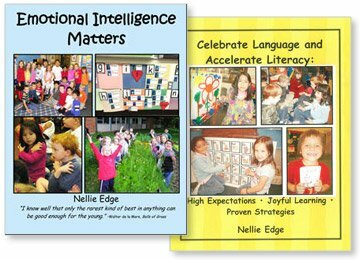 Dramatically accelerate learning. 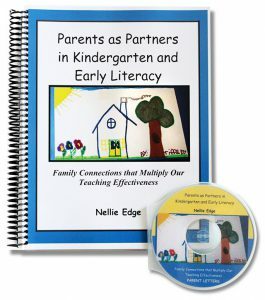 Teachers have permission to make multiple copies of the CD for family use. 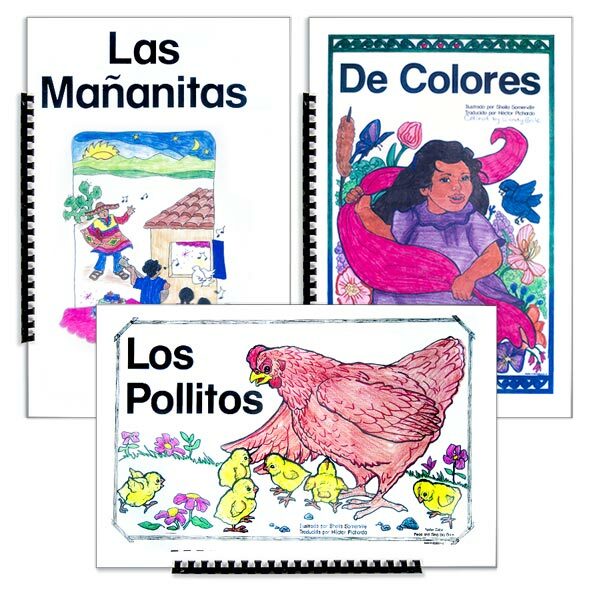 Choose from 15 popular 11" x 17" full-color English Big Books and 5 Spanish Big Books. 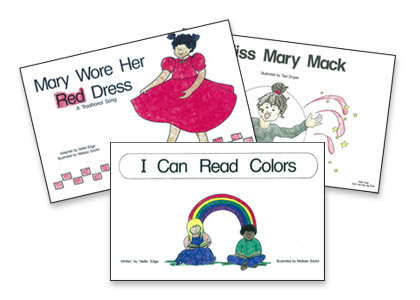 Choose from 2 Guided Reading Book Sets, containing a set of 7 each. 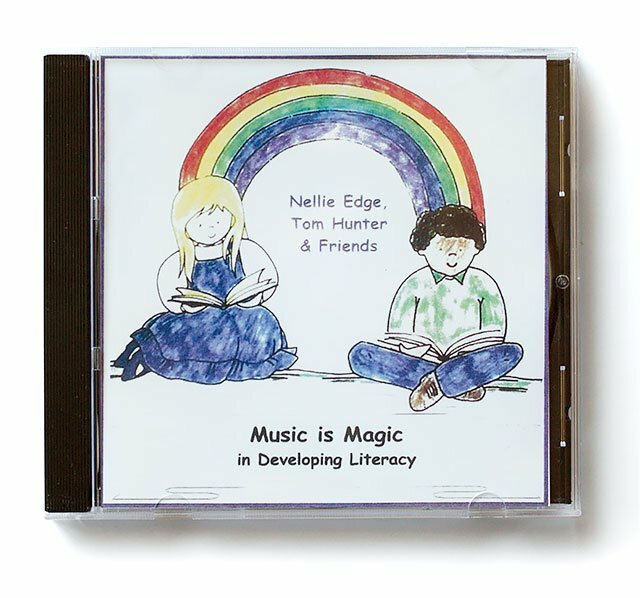 Music is Magic in Developing Literacy! 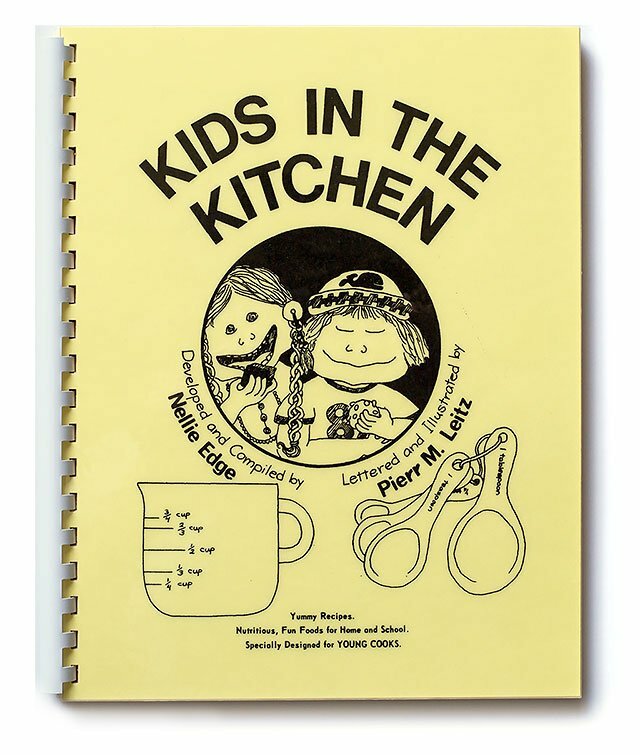 Featuring Kids in the Kitchen (a.k.a. 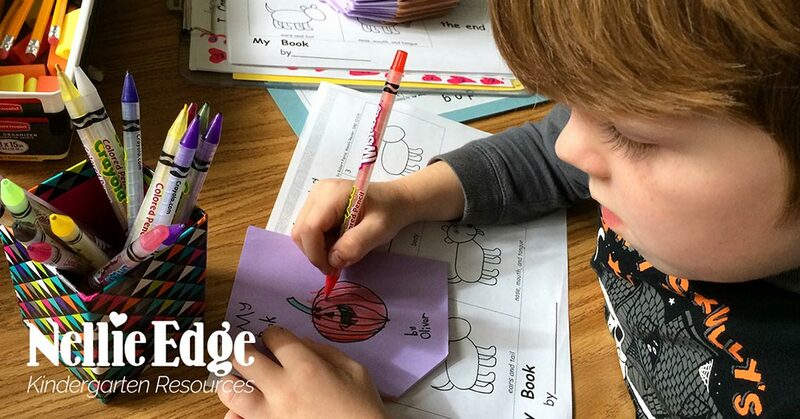 Kindergarten Cooks). 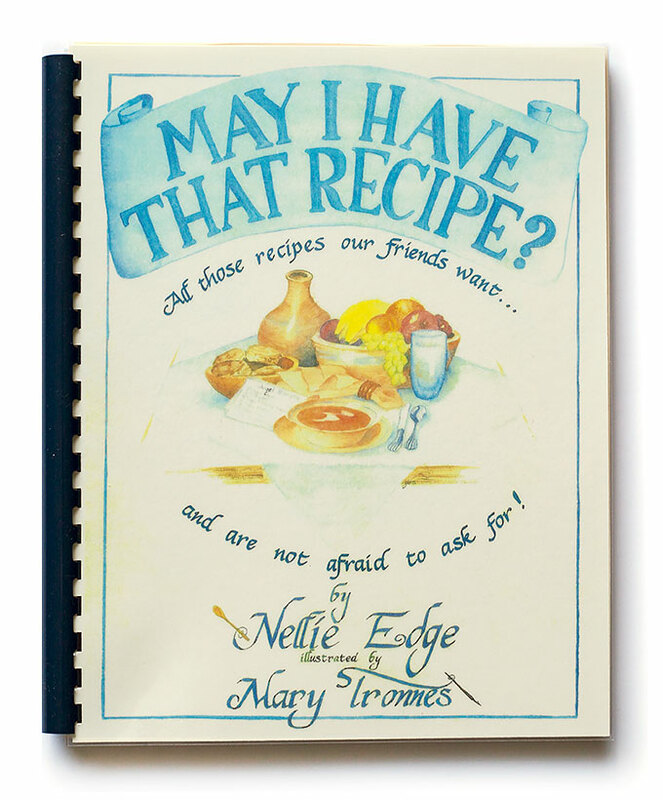 This best-selling children's cookbook features written symbols directly related to pictures so children can read their own recipes.